In Tanzania, liquor sachets – 50ml and 100ml packs, had contributed a significant share to the overall liquor category, and were a key driver of spirit sales. It was pretty simple: The sachets were low priced, and had very decent alcohol levels – good bang for the buck from the consumer point of view. The result was that sales grew quickly, and at one point these sachets were being sold on the street, by local hawkers. This lead to uncontrolled sales and purchases. Sales to minors increased, and this quickly became a nationwide problem. At that point, the government stepped in and put a total ban on all sachet sales within its borders. This clampdown caused a major shift in market dynamics. In fact, the total size of the alcohol market declined rapidly. Our client, a leading player in the spirits and beer sector, asked us to consider the effect of the clampdown and investigate how they should proceed. Through advanced data analytics, we were able to identify that, while some consumers up-streamed to a higher value spirit, a large portion of spirit sachet consumers had shifted to the more affordable “value beer” segment. However, our clients’ value beer offering did not seem to be benefiting from the increased sales in this category. We headed into the market, and began visiting outlets where we had seen shifts in sales patterns. It soon became clear that outlets were pushing up the price on our client’s value beers – hindering consumer shift to their brands. We were able to use our mapping systems to plot these outlets, and their demographics, and extrapolate this data to other areas, containing outlets at risk. At the same time, we conducted a price analysis and identified price points where optimal sales were being achieved. Armed with this information, we had a win-win situation where both our client and the traders could benefit from better sales at the right price. The client launched a trader and consumer information drive and, coupled with incentive offerings for traders, soon began to see an upswing in sales. At present, sales continue to grow, and what’s nice about that is everyone seems to have gained. For our client, a better share of the market, for the shopkeeper, better turnover, and for the consumer, a product offered at a fair price. Frontline Research – Yes, we know Africa! So how did you contain liquor sales to minors? Our brief was not to contain the sale of alcohol to minors, but to analyse the impact that the government ban on the sale of these sachets, would have on the market, and more specifically, our client. So, to answer your question simply, our research did not focus on the specific attribute of sales to minors, but the market as a whole. How were you able to help reverse volume declines on the spirit sachets after the ban? It seems like you helped with the secondary issue (miss-priced “value beer”) vs the primary one I.e. 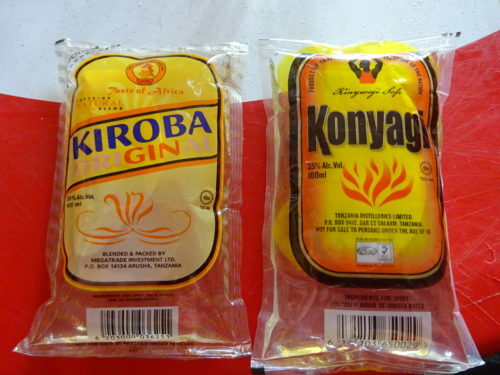 declines in gin sales due to sachet ban. Our aim was not to reverse the “volume declines on the spirit sachets”, but rather to understand the affect this ban had on the market, and how our client could limit this affect to themselves. We found that the consumer move was to the bottled spirits, and to the “value beer” segment. This was driven by the consumer, and the affordability of the products. We noticed that our client was not benefiting from this shift, due to the pricing issues in certain outlets. Once this was rectified, the sales increased, and our client, and their customers, benefited from the results of the research analysis.